You are here: Home / Managing Your Flock / Poultry Netting: Best Kind To Buy and How Much Do You Need? There is a large variety of poultry netting out there. Some have quite specific uses, whilst others are more multi-purpose. Poultry netting can be expensive so we are going to review some of the cheaper options too. Our caveat to everyone though is that it is generally cheaper for good reason. Using the right sort of defense, in the right place, is very important in keeping your flock safe. 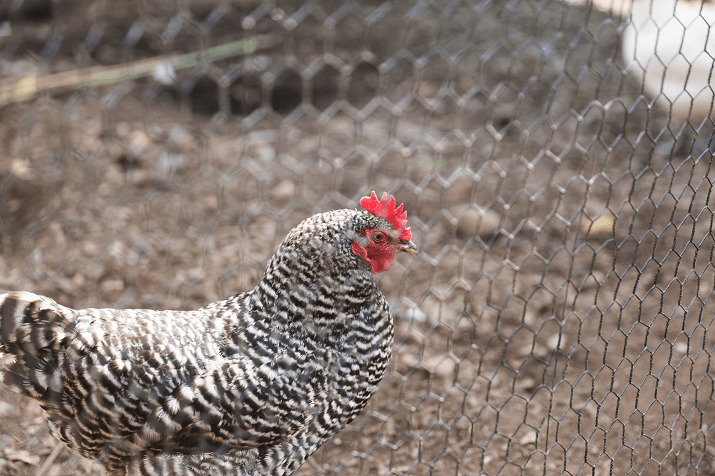 As an example, you would not want to use plain poultry wire in an area where you have an abundance of predators that can chew, jump or physically dismantle a simple fence line. So we are going to give you an overview of all that is available and the good and bad of each. Predators come in all shapes, sizes and abilities. Foxes, raccoons, weasels and badgers all are good diggers. Unless you have dug down in your perimeter area, you have a weakness in your defenses. Foxes and coyotes can clear a five foot fence with enough run up – if you have such predators, build to six feet minimum. Aerial attacks from hawks and owls can and will happen if your flock has a large open run, consider some sort of netting over the run. Raccoons are incredibly smart – they can figure out how to open simple locks. Your rule of thumb here is: if a 5 year old child can open it, so can a raccoon! Use raccoon-proof locks, otherwise all the perimeter defense will be worthless, they will just walk through the door. Bears – in general, they don’t go after chicken coops, but there have been increasing reports of hungry bears going into places where they normally wouldn’t. They are tough to defend against. You need to research your local area and create a list of known predators; you can then review the variety of poultry netting choices below and make an informed decision. The important thing to remember about poultry wire is that it keeps the birds in a designated space. It does not effectively keep predators out. If you simply want to contain your flock within a certain area, you don’t have crafty predators or you have a livestock guardian dog, poultry wire may be a good and cheaper fence barrier for you. It comes in a variety of height from 2-4 feet. If you have mostly large fowl that are not prone to being flighty (Cochins for example), a two foot high fence will do the trick quite nicely. If you have flighty hens then you will need to double up, as a six foot fence is needed. It is relatively inexpensive, but it is not a deterrent or barrier to a predator. 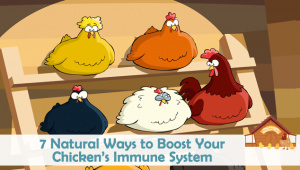 Good: Great for keeping poultry contained, inexpensive. Bad: Will not keep predators out, prone to rust. This is mostly used for pens and outside areas of containment such as a large runs. It is expensive so using it as a fence is really not the most cost effective way to use this. It will however, keep out just about all predators except a bear as long as it’s used effectively. To effectively keep out diggers, you will need to dig down about 6-12 inches then lay the wire in the trench and bend outwards to form a small ‘shelf ’of six to twelve inches. If you are unable to dig down, lay the wire on the floor of the run and securely attach to the bottom frame. If you wish, you can cover the wire with a layer of dirt so the birds can still scratch. It is a bit more expensive than poultry wire. 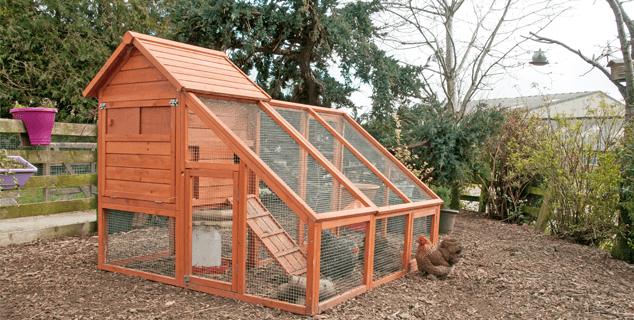 It is excellent for coops, runs and smaller areas where the birds need protection. Good: Very good at keeping predators out, lasts a long time. Bad: A bit difficult to work with as it is not very flexible. There is a huge variety of plastic poultry netting out there! It certainly does have its uses, but predator protection is not one of them despite optimistic advertising! Its more useful in fencing off areas where you don’t want your flock to go – the veggie garden, flower beds etc. It can be used inside a secure run area if you need to segregate flock members as the birds will not be able to break through it. You can also use it for a ‘day pen’ for chicks within a larger protected area. Good: Comes in different colors to blend in with the yard, easy to work with. Bad: Will not keep predators out. This may not seem like a great choice for poultry, but in fact with a little ingenuity it can be a fantastic barrier to predators. Chain link is tough, strong enough to withstand a bear – but they can climb over it. It also happens to be fairly inexpensive – an added bonus. Occasionally you can find it for sale secondhand even cheaper. It is a bit of work to set up, but once done should last you for years. 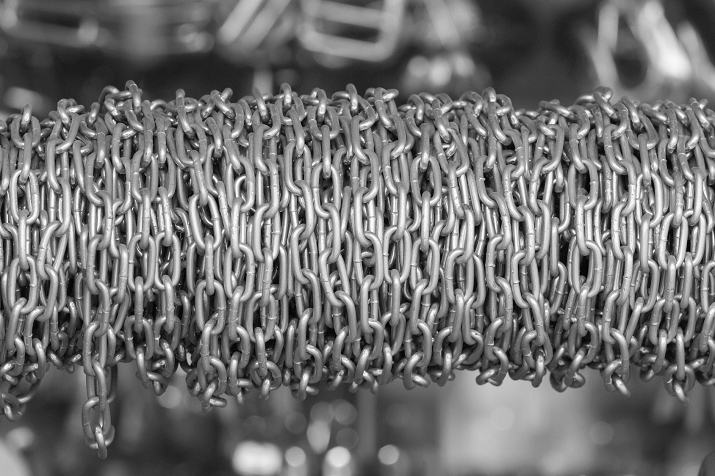 As always you will need to bury some wire to prevent diggers, but you can do this fairly easily by attaching a separate piece of hardware cloth to the bottom of the chain link. This will serve a double purpose since you really need to cover the bottom three foot of the chain link in hardware cloth to prevent weasels from crawling through or raccoons from grabbing through the wire. If you can’t build to six feet, consider adding electric tapes to the top and bottom of the fence line. The bottom wire will need to be about nose height for a fox or coyote. A quick buzz from this will usually deter them. The top tape should be added about six inches above the chain link – this tape is a ‘just in case’. Predators can be quite desperate when feeding young or in the depths of winter and can go to extraordinary lengths to get food. Good: Long lasting, extremely effective. Bad: Not pretty to look at, installation can be difficult in some terrain. As its name suggests, this is used primarily in aviaries in order to keep the birds in their respective enclosures. There is absolutely no reason why it cannot be used to cover a small chicken run as an aerial predator deterrent. It is generally made of fine polypropylene mesh. It is not designed to be strong enough to withstand a physical attack – such as a dog or cat. I have also used fine mesh deer netting for over the chicken run – this is sometimes cheaper than the ‘aviary netting’. Good: Inexpensive, blends in with background, will keep out hawks, owls etc. Bad: Not completely predator proof, can tear easily in wind storms. In recent years electric fencing has become affordable for most people. It was invented in England in the 1960s and has changed farming practice a lot. 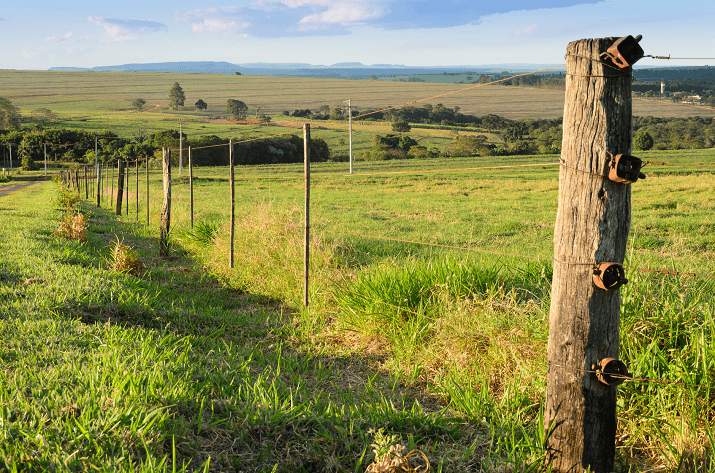 The thought of getting electric fencing can be overwhelming: How do I power it? Will it hurt my girls? What sort do I need? All these questions go through your head; at least, they did mine. The company I chose to buy from had an online chat service where I was able to ask all these questions and more. They were extremely helpful and knowledgeable and the fence I chose has held up extremely well over the last 18 months. There are many different types of electric netting, but they basically all do the same thing. The metal wire is woven in with plastic fibers throughout the length and height of the fence. When an animal touches the wire it will receive a shock – I know, I tested it! It is not a powerful shock but enough to be unpleasant and deter the animal from repeating the experience. The fencing can be powered by main electric, battery or solar – or a combination if needed. The solar units are manageable and easy to set up. Needless to say, the fence will only be ‘hot’ if you have sufficient power to it, so make sure your solar panel or battery is fully charged. If you live in the Northern States, North of England or Scotland, keeping your solar panel charged can be a challenge in the winter months. This is something to bear in mind when deciding which power source you prefer to use. If you are fencing a large area the netting is easier and quicker to install with two people, it can be done with one if necessary but can be very time consuming. The fence-posts are fiberglass so they are strong but flexible. There are both temporary and semi-permanent styles of netting to choose from. If you are moving the flock frequently from one area to another, the temporary is probably the best choice. It is more lightweight and easier to manage with one person than the semi-permanent netting – it is also a bit less expensive. It still works well as an effective barrier against predators. The semi-permanent fencing is tougher built to withstand a bit more abuse from the weather and other things. It is designed to be out in all sorts of weather and will tolerate just about anything except standing water and ice. The posts are stronger and less likely to bend. The plastic meshing does stretch out a bit but this can easily be remedied by adjusting the posts. Good: Offers great protection, expensive. Bad: Can be difficult to install or move by yourself, can’t be used during heavy frosts or standing water. 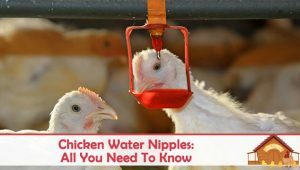 Once you’ve decided on which type of poultry netting to use, make sure to read our article on how much space chickens need. 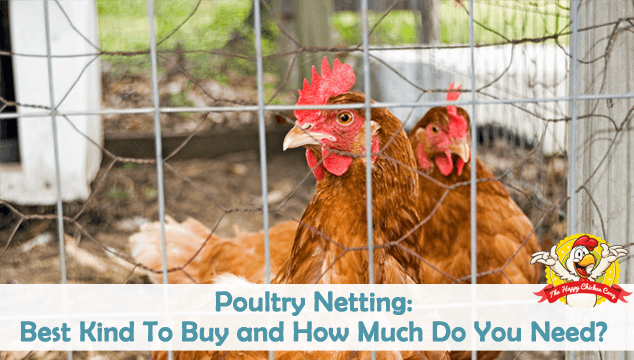 You can then calculate exactly how much poultry netting you need to buy. Remember you can also be inventive with other types of barriers and incorporate them into your defenses. I had a large paneled metal dog crate given to me by a friend. I removed some of the ‘J’ clips and made a segregation fence to protect my disabled rooster from ‘the mean girls’. Something like this could be used in many situations where you need a physical barrier for separation purposes. Always check your options first if you can. In the long run it will save you money and work. There is nothing more frustrating (and costly) than realizing you need to upgrade your perimeter defense. 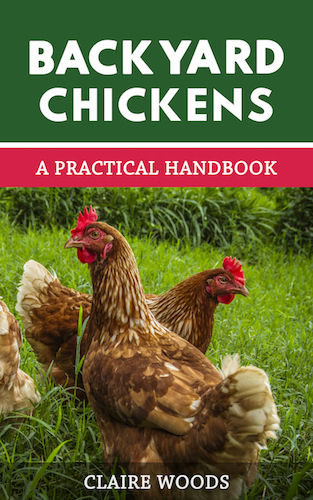 Keeping your flock safe is the number one priority for all poultry keepers everywhere. If you live in town and think you don’t have foxes or raccoons in your neighborhood – think again! You may not see them but they are there. Perhaps the biggest failing of all of us is becoming complacent and letting our guard down – that is when these intelligent and savvy creatures will strike. If we have the best barriers we can afford, our ladies will thank us for it – in eggs of course!